Taxi aggregation booking platform. 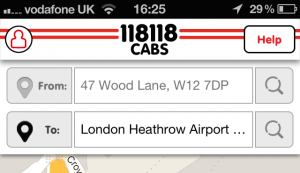 Taxi APIs, software and apps. ubiCabs is a taxi booking platform that can enable any website and app to offer taxi bookings to their customers through a variety of products that can either be white labelled, integrated or embedded. We have tested, learned, improved, iterated, and re-built again many times to provide you one of the best apps in the market. Asap and advance bookings, cash and card payments, fix quotes provided to your customers, driver tracking in the apps, and much more! ubiCabs has an extensive set of APIs and corresponding documentation to make an integrations quick and painless. The flexible APIs can also allow integration at different times in the customer experience allowing you to decide what’s best for your customer. 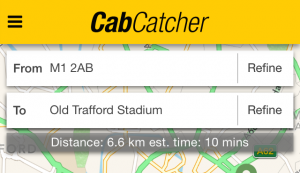 Any websites or iPhone and Android applications that are interested in allowing their users and customer to book a taxi. Sign up to our affiliate program to increase revenues. Easily embed our SDK or web booking engine in your apps and website to offer an additional service to your customers. We cover more of the UK with as little as 15 minutes’ notice than any other provider, which gives you the possibility to offer your customers taxi bookings in 15 cities and all major UK airports. In addition to this, we also cover 40 towns and cities in France and all towns/cities in Italy. A further 50 countries are being added in the coming weeks! ubiCabs has our very own brand where we develop the know-how and industry best practices that allow you to gain the most from using the ubiCabs platform.